Sewing thread plays a very important role in the success or failure of a sewing project. The quality of the thread, its color and durability, all has an impact on the final product. For a beginner, color might seem like the most important factor. So long as the color looks great, you feel you have zeroed in on the right thread, right? Wrong! A clear understanding of the thread, its quality and use has a profound influence on the success of your sewing project. Cotton thread: This type of thread is used for stitching light and medium weight cotton fabric. It doesn’t stretch much and has a matte finish. It’s resistant to heat and can even be ironed. Since this thread doesn’t stretch, it tends to break if It’s used in a fabric other than cotton. Polyester thread: This is a smooth finish thread and can be used with any type of fabric. This type of thread comes with a wax coating which makes it easy to glide through the fabric. It has a good stretch and can be used for stitching even knitted and woven fabric. It’s strong and can resist heat and mildew. Cotton-wrapped polyester thread: This type of thread has all the properties of a polyester thread but comes with a low sheen. If you want a glossy finish for your stitching, then this thread may not be a good choice. Nylon thread: Just like polyester thread, nylon thread is also strong and doesn’t break very easily. This thread is transparent and can be used for sewing even heavy fabric. Metallic thread: This thread is wrapped in thin gold, silver or copper metal and is used to sew decorative pieces. You need a special needle to use this thread. It tends to break easily and hence should be used carefully. Silk thread: This thread is smooth and lustrous and is great for use with silk and other glossy fabric though it can be used with other fabrics as well. It’s elastic and hence is easy to sew. The only drawback of this thread is that it’s expensive. 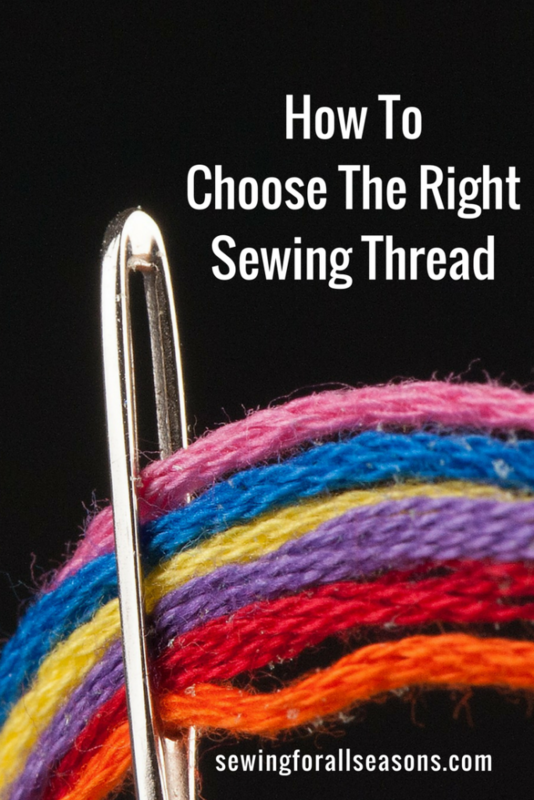 Why is it important to use the right thread? Using the right thread provides a more natural finish. For example, if the cotton thread is used on cotton fabric and silk thread on silk fabric, it provides a more natural blend. The thread tends to break less when used with the right fabric. For example, if the cotton thread is used on denim fabric it tends to break easily because cotton doesn’t glide easily through denim. Using polyester or nylon thread is recommended for heavier fabric. If you use a cheap thread on an expensive fabric, it’s sure to stand out. Sometimes cheap thread bleeds and spoils the entire garment. A clear understanding of the various qualities and types of thread and its application goes a long way in the successful completion of a project. 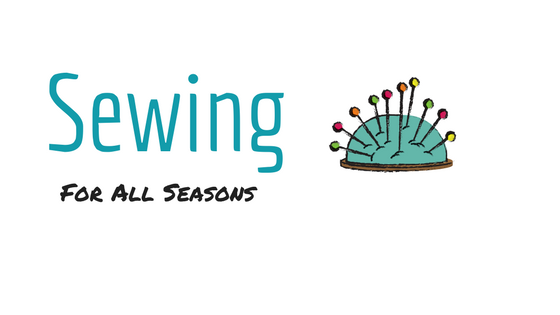 Spend some time thinking about and planning what thread to use, considering the factors I’ve covered in this post and you’ll have a more successful sewing project!